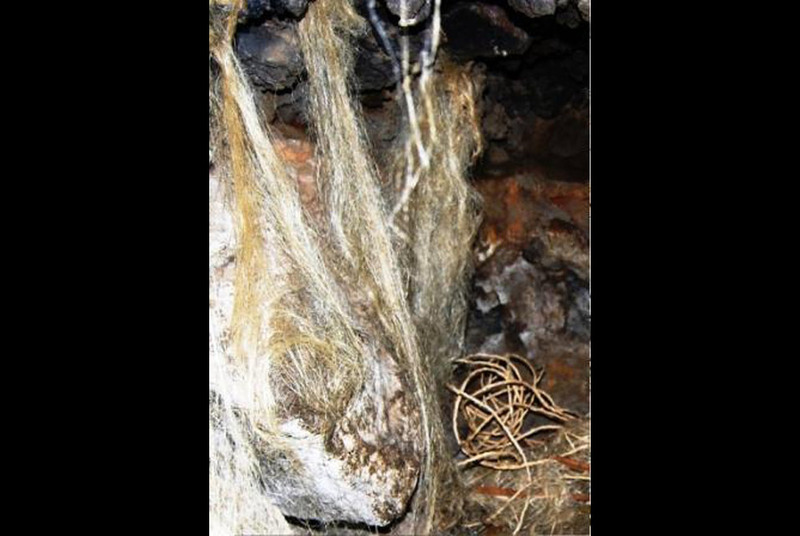 Cave site on Mount Ararat showing flax fibers and cord. CAMBRIDGE, MA.- Harvard University educated archaeologist and director of the Paleontological Research Corporation, Dr. Joel Klenck, surveyed and completed a preliminary analysis of two sites on Mount Ararat in Turkey discovered by a Kurdish guide, Ahmet Ertugrul. The research areas are noteworthy, states Klenck, and comprise a large wood structure and cave with an archaeological assemblage that appears to be mostly from the Late Epipaleolithic Period. These assemblages at other sites in the Near East have calibrated radiocarbon dates between 13,100 and 9,600 B.C. National Museum Australia acquires rare 1813 New South Wales "Holey dollar"
Fundació Suñol presents an installation by Francesc Ruiz "The Paper Trail"